What do you think is important about fashion? For me, fashion has always been about the process of creating. Each piece is a different colour to splash upon my canvas, a different texture, a different feeling. Fashion is a living art form and I try to embody that in trying out different poses for my pictures. The most important thing is to be brave, to be bold, and to make what you're wearing work for you. As my blog header says, "the world is my runway." 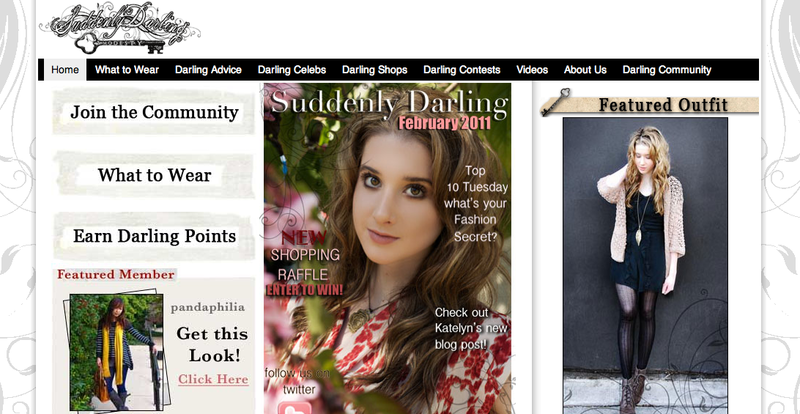 When I logged into Suddenly Darling today, I was surprised to see that I was the featured member for February 17, 2011. Read the article here! I've been so caught up with exams and craziness that I haven't even noticed until now! Thank you so much - I'm super flattered! It was an outfit I submitted for a Darling of the Month contest a while back and it made me smile to see all the nice comments. Sometimes when you feel completely un-gorgeous after a straight week of non-stop intense work, a little thing like that can absolutely brighten up your day. The Darling Tip was: "Lose the tights and boots on a sunny day! You'll still look darling!" I would love to agree but it's still freezing temperatures here in STL. Please, spring, come back ! Suddenly Darling is a site run by Katelyn Rose, and the key is modesty in how you dress yourself. 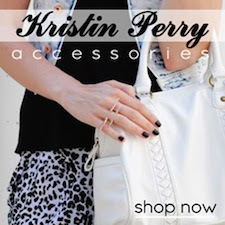 I first learned about this site from Kristy's DOTM contest entry (I love this girl - she has such refined style!). This site is nice for girls to learn and share how they can dress fashionably without showing off too much skin and I've seen a lot of adorable outfits. Whew! An update on life: After a long week involving 3 difficult exams, a neuroscience summer research application, and more sleep-robbers, I finally got to exhale and have fun Friday and Saturday! It's been a long time and I realize that blogging is what keeps me sane during the school year, but time is short and my to-do list is long. I have been taking photos every once in a while, so I can sneak in a few posts every once in a while. Yesterday I went out with my research lab and we had a blast at a sushi bar. It was pretty affordable and I really enjoyed getting to hang out with my co-workers and let loose. My friends and I then went to a karaoke night and followed up with a costume party. My boyfriend and I went as Popeye the Sailor man and a Sailor Girl (I didn't want to dress like Olive Oyl haha) and I even used black lipstick to draw on fake anchor tattoos onto his arms. Of course we took photos and I'll have to post those later. Last night, I slept for a grand total of 14 hours to make up that accumulated sleep debt and went to the mall to celebrate. At H&M I picked up some interesting pieces, like an adorable swallow print skirt, some sale items I have been craving since early winter, and a butterfly cropped top complete with bowler hats. As the weather warms, I'll be taking photos outside again yay! I also discovered the gaudiest store ever: Love Culture; much worse than F21 in terms of layout and store decor. Speaking of which, at Forever 21, I scored a faux fur leopard jacket that I've always wanted and a shearling jacket for $10 each. We had Five Guys to keep us stuffed and happy (you MUST eat there if you ever pass by one - such amazing burgers and fries!) and I did a whole lot of walking in my furry boots. Maximum relaxation, accomplished. Other than that, how I relax is watching animal documentaries. Has anyone noticed how mean David Attenborough is to nature? He likes disturbing the balance for the sake of getting a nice look into a termite hive. I still love the old man - what animal show would be complete without his charming British voice in the background? Hi everyone! It's finally Friday and I have some time to chill in my room and blog, what I DEARLY miss. I feel like I'm eating and breathing science and work 24/7 and I need a break for my brain to expand and inhale, exhale, repeat. I've also got a bug that's circulating around campus which is making me cough my guts out (yes to the ab workout, no to being sick) and sit in a stupor all day, so Forever 21's newly released Petro Zillia collection is definitely one to brighten the spirits, especially in ice-over St. Louis. I had never heard of this designer, but apparently this is an LA boutique and the major theme is super pop colours. Everything reminds me of the 80s but more psychedelic bordering on Hannah Montana section at Walmart. I'm into bright colours but not an overload of 5-year-old pinks. I'm going to sit out this collection unless I get my hands on those pair of adorable socks that apparently aren't for sale. It's a bit disappointing that the promo photos are so much better than on the models. Very cute from the back, pretty meh from the front. This would totally cheer up those winter blues and look super cute with a big fluffed up white scarf and a cup of coffee while studying and turning heads at the library. Ribbons & Tulle Party Dress $27.80: I've always liked the look of tulle. The alternating striped blue and black and different textures also makes this a unique party dress. The least gawdy of the collection for those of us that like classic dark colours. Do you dig the Petro Zillia x Forever 21 collab? I feel like if I tried these on I would request a pair of white vintage rollerskates and throw my hair up in a high ponytail and zoom back in time to a groovier time. Old fashioned soft serve ice cream at a classic hamburger joint, true fountain soda, red and white checkered tablecloth. It's so hard to resist shopping! I want to emerse myself in fashion magazines and racks of clothing until I can't walk in a straight line. I want to strut in my high heels and wedges and hip-hugging skirts. The ice is so slippery and treacherous and it literally feels like I'm being slapped incessantly by the wind. I heard the groundhog says we're getting an early spring. Please let it be. I don't know how many more days I can withstand looking like the most unfashionable Eskimo. Another post later this weekend? ; ) We'll see ! Hi guys! it's been eons and eons, I know! What have I been up to? Well, aside from keeping track of my sleep records to collect data on my own biological clock, taking classes until 9 PM every weekday, and studying for Angie versus the MCAT Round 2, and conducting research, I entered a Hypeed contest featuring photos from a glamour shoot my boyfriend and I did in Taiwan at Modern Concept Studios. Here is a sneak preview of a Kodak perfect time and I will be posting more of those photos in the future. I hope that you can take a second to vote for our photos, we would appreciate it! You can find the link in the slideshow above. The photographer was so fun to work with. He was an absolute pro in finding all the proper angles and lighting on a gloomy day. 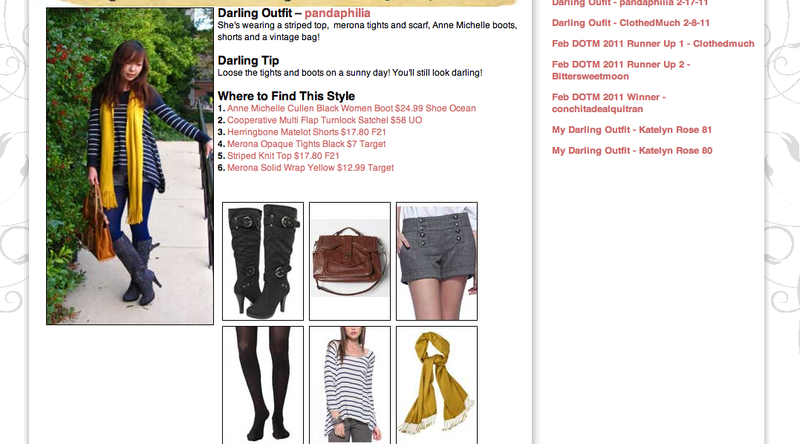 The screenshot shows Hypeed's take on our photo: "ONE WORD: CHIC" ! We're so flattered to be grazing the front page of the contest slide show right now. I have decided that I miss blogging wayyy too much just to leave it but I do hope that I can learn something from having adventures in the clean, fresh air instead of hiding behind my computer screen all the time. 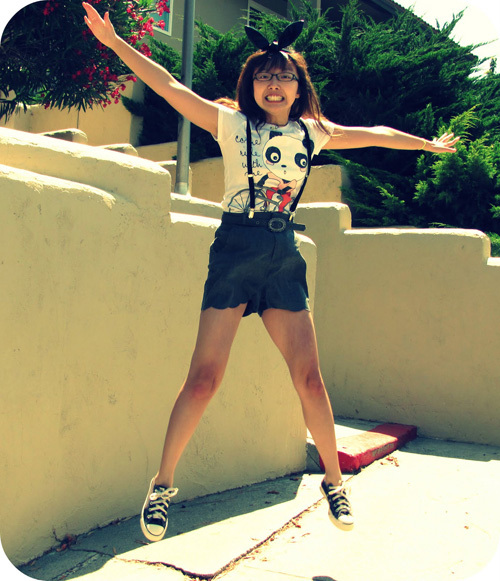 This semester is hectic, but prepare for Summer 2011 - new camera, new style, and endless fashion.